Caracol is a bulky, thick-and-thin single-ply that is truly one of a kind! This superwash merino wool is criss-crossed with binder thread and then dyed in Malabrigo's signature kettle-dyed colorways. Caracol knits up into a cozy, fluffy fabric with a ton of texture and visual interest, making it great for warm winter accessories and big cozy afghans!. Malabrigo Rasta Yarn is a similar yarn: merino wool, super bulky (11 sts or less/4 in), 150 gram, and 90 yards. You may also like Malabrigo Arroyo Yarn, which is another similar yarn: merino wool, machine wash, and 100% superwash merino wool. What about yarn that have the same look and feel? 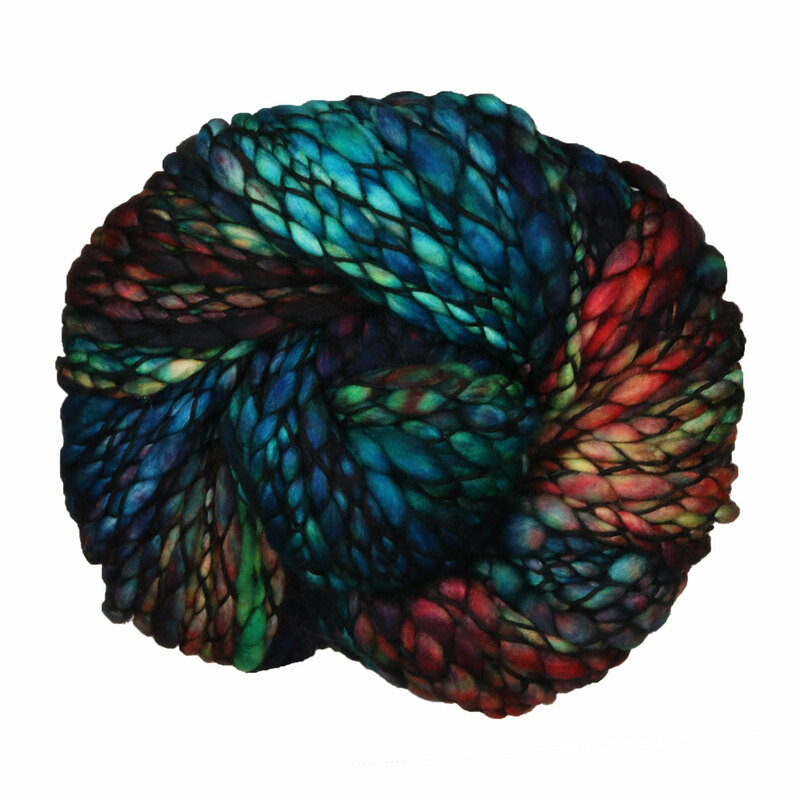 Find more yarn with a thick and thin texture, a medium twist, and is kettle dyed. You may enjoy taking a look at the Malabrigo Caracol Bethune Striped Capelet, Malabrigo Caracol Cowl, and Malabrigo Caracol Hudson Long Cardigan kits all using Malabrigo Caracol Yarn. 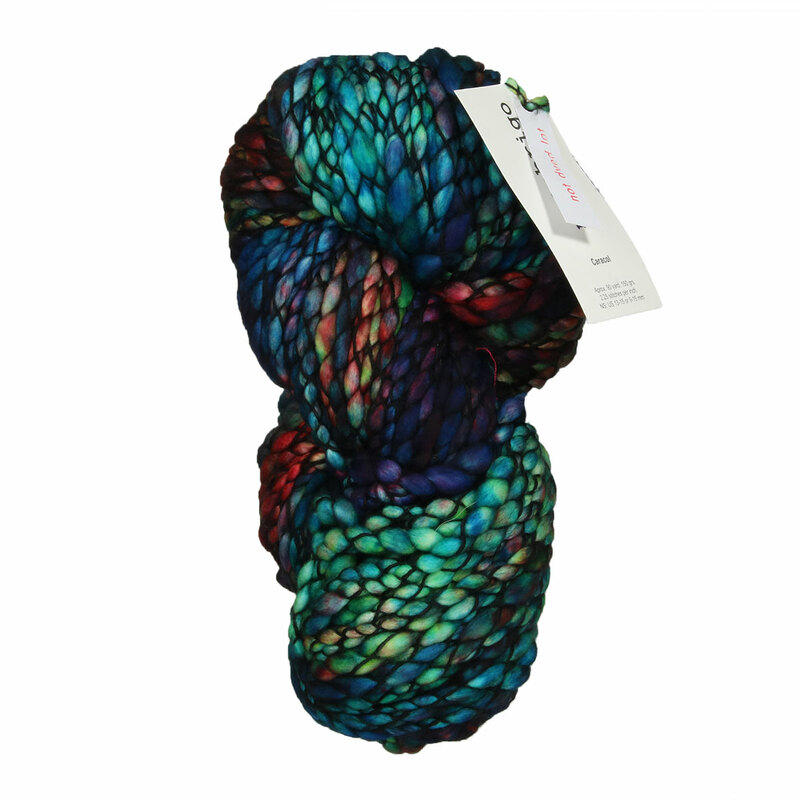 Hopefully our suggested project ideas for Malabrigo Caracol Yarn can help you come up with your next exciting new project idea!